Arbor Day is for the birds! Friday April 27th was Arbor Day in New York state (did you know that?!) 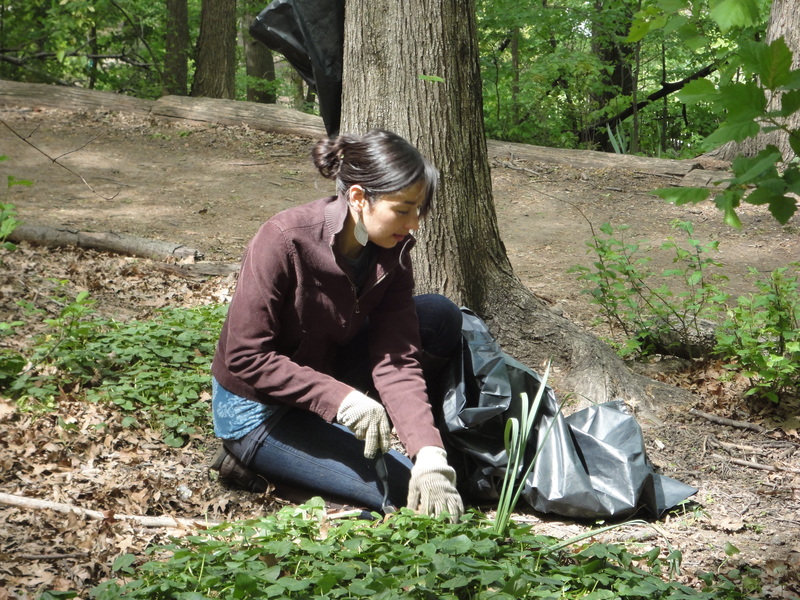 and to celebrate the spirit of the day, a group of NYC Audubon volunteers spent the morning of April 28th in Manhattan’s Riverside Park helping the Riverside Park Fund improve habitat in the Woodland Restoration Area at 116th Street. The dedicated and enthusiastic crew planted 150 Viburnum lentago bushes (otherwise known as nannyberry) in sunny spots throughout the woodland; the berries of this plant are an important food source for birds in the fall. The volunteers also removed a lot of noxious invasive plants, including grapevine and lesser celandine, that choke out native plants. It was a beautiful morning and there were plenty of birds darting about in the spring sunshine. Through the efforts of these volunteers, the habitat will be better for these avian visitors in the years to come. Celebrating Earth Day (every day)! Today is Earth Day, the one day of the year when we are all encouraged to focus on appreciating and helping the environment. 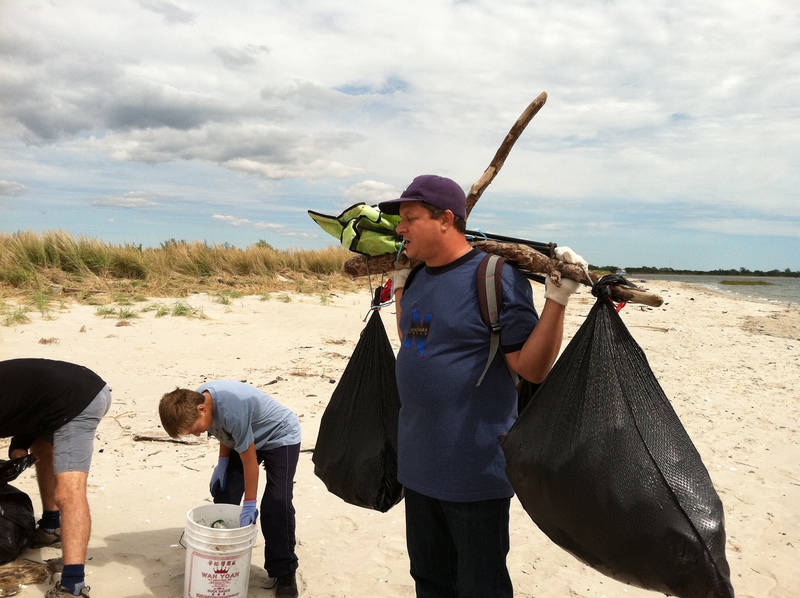 To celebrate Earth Day this year, we took a big group out to Brooklyn yesterday to clean Plumb Beach with the support of the National Park Service and the American Littoral Society. Plumb Beach is part of Gateway National Recreation Area and is an important site for humans as well as wildlife – particularly migratory shorebirds and horseshoe crabs. During the months of May and June, horseshoe crabs spawn on the beach and migratory shorebirds feed on their eggs before continuing on their northward journey. A lot of garbage piles up on the beach; some of it is left there and some floats ashore from elsewhere. We really wanted to give the beach a good Earth Day spring cleaning before the wildlife shows up en masse. And clean it we did! We had an amazing group of about 75 people out on the beach, including crews from Students for Service, the New York Fire Department Explorers and Congregation Emanu-El. They scoured the beach and the adjacent marsh for debris large and small and filled over 150 garbage bags with trash, as well as collecting timbers and other flotsam from the area. It was truly an impressive effort and we at NYC Audubon all really appreciate their efforts and desire to help the environment. Earth Day only occurs once a year, but we hope you’ll help us try to bring a little bit of Earth Day into every day. I have a great job. Evidence? I got to spend Wednesday evening with representatives from Audubon Chapters all over Long Island talking about horseshoe crabs. Why is Audubon interested in these ancient Chelicerates, you might ask? Our local horseshoe crab species (Limulus polyphemus) is strikingly similar to fossil horseshoe crabs from over 400 million years ago. This species spawns on beaches from Maine to Florida during springtime and their eggs are an important food source for a number of migratory shorebird species. 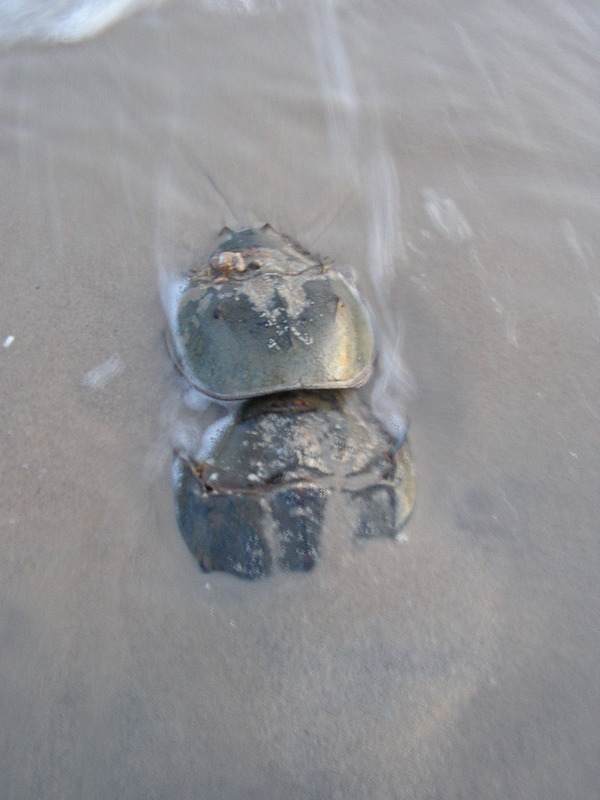 Horseshoe crabs are harvested to act as bait for eel and conch fisheries and over harvesting led to a decline in numbers, which prompted conservation efforts that seem to have helped the species start to recover. Monitoring is important to understand population numbers and how those numbers change over time. NYC Audubon has been monitoring horseshoe crab spawning in Jamaica Bay since 2009, using a corps of dedicated citizen scientists. With the support of grant from Audubon New York, we organized Wednesday’s event to spread the word among our Audubon comrades from the island and get more of them involved in monitoring efforts that take place at sites in many of the chapters’ backyards. With understanding comes action; we are part of the network that shares data about these amazing creatures, with the goal of better protecting their spawning sites and ensuring that they are around to delight us and feed shorebirds for millennia to come.